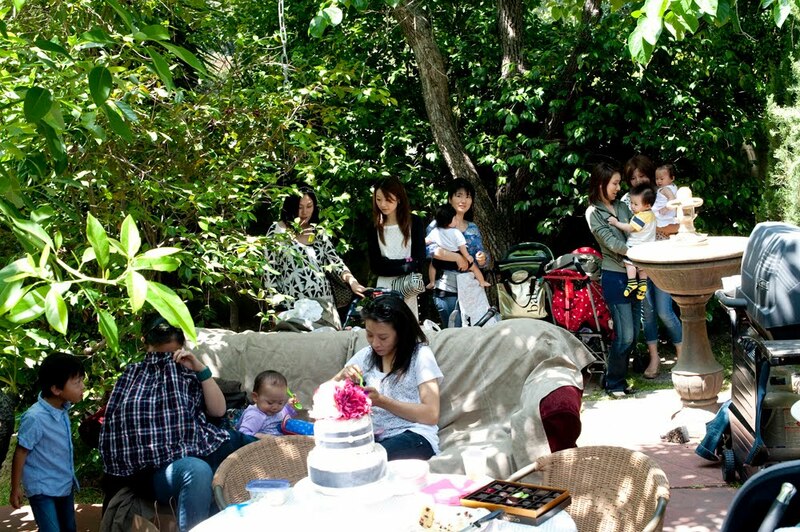 On 23th June, Many many japanese women with kids got together for nanamina trunk show. 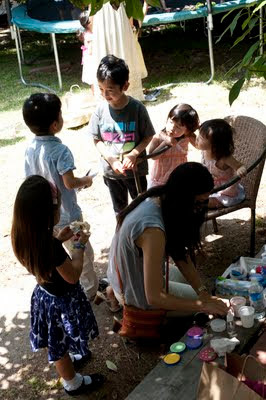 It was organize one of my japanese girl friend Midori ( who make a fabulous diaper cake), she invite all her friend from West side, and somehow they drive together to meet at nanamina. For all of them, it was first visit. It seems like they like nanamina collection and it was so nice to meet so many people with kids. Home made cakes and Midori's diaper cake. Kids enjoyed to have a face painting. Thank you so much for coming, I am so happy to share this creation and pleasure with many people. Nanamina carry many cute girl's Bikini collection this summer. 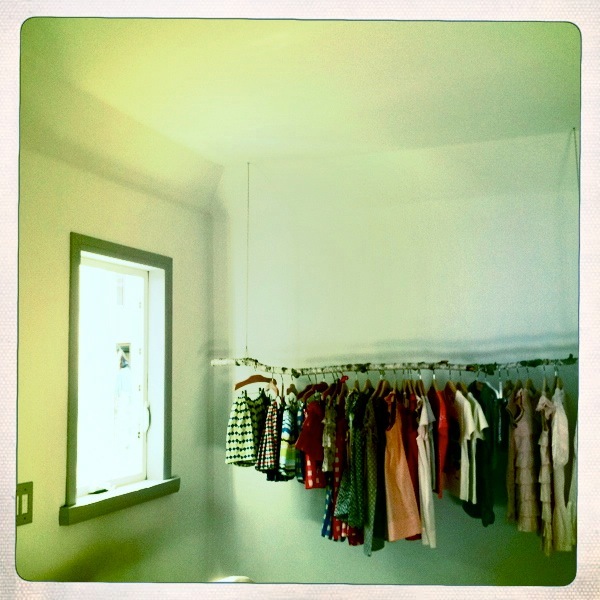 Design by Talc, April shower. Fabric is cotton, very comfortable and makes such a " Parisienne" look for girls. Must item for 2011 summer vacation and beach. Please come to check these items.